Discussion in 'Calibration, Help, and Troubleshooting' started by amdbuilder, Mar 6, 2016. I've finished commissioning my printer (YA! ), however my benchy armada is currently a little lacking. I keep having problems with Thermal Runaways around layer 4-6. I moved my side fans down to the height of a timing belt, but there are still problems. Any suggestions on how to resolve this? You're using the fans too aggressively and it cools the hotend so quickly that the controller thinks the sensor came loose. tl;dr: use less fan, or increase it gradually. Also I tried doing the above as a normal link and the forum kept converting it to a MEDIA tag, which didn't work. Are we talking the print cooling fans? (on the side) Just trying to make sure for future reference. Yes, we are talking about the side fans. 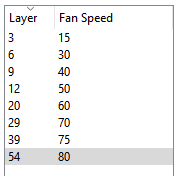 I am also using the provided gcode, so I don't have control over the fans. In that case all you can do is lower the fan duct physically. If you go to Tune on the LCD once the print has started under Temperature there is a fan speed setting- mine is set at 70% which is about 180 Fan speed- which has stopped thermal runaway on my machine -YMMV. Reslice the model after removing the 70% cooling step. Add that back in about 5 layers later. 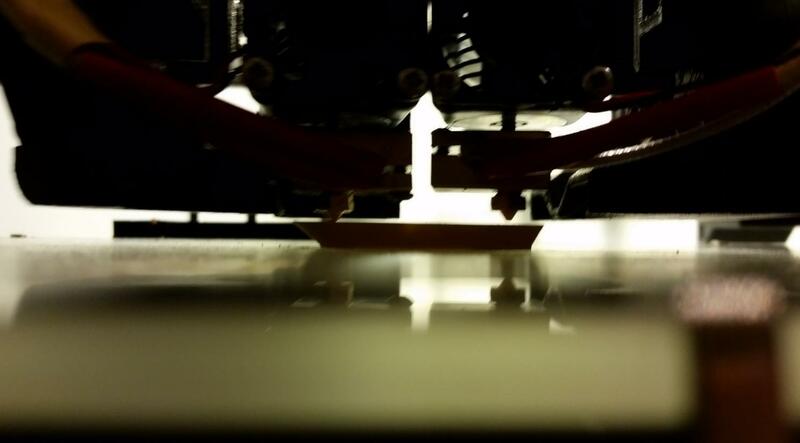 The early benchy layers are quite small considering the pace of the BigBox, and there's just no time for the temperature to stabilise before it kicks the fan up another level. A much slower increase is called for. You can also sit and watch the print like a hawk and use Control (not Tweak) > Temperature (yes even for the fans) > Fan, and there alter the temperature. If you do go into Tune and it just sits there like a chocolate teapot for a while, take a deep breath and wait for it to timeout back to the front. Then do it again in Control. My bad, Control not Tune. Haha, well said Spoon Unit. We have determined the person who implemented Tune was clearly on something, as it clearly never works. I'm tweaking the fan height some and hoping to have more luck on that front. I know Sal managed to complete the provided benchy, without modifying their file, so I would hope mine could do the same. Then again part of me just wants to say the heck with it and reslice. I completed the provided code without issue as well, but fan is about 1mm off the print surface. That's about how close my fans are right now. I just said the heck with it and once the fans hit 100% turned them down to 63%. I'm hopeful there will be a completed benchy in the next hour. Fan position. I'm curious what that best place is for this. I don't recall a detailed thing in the build, and I just pushed them up as far as they would go. What's the thought process for positioning the fan height? I don't get the logic there? Surely they will then blow directly onto the nozzles? No I see. Slightly above the tip. So in other words, about 2 mm off the bed. Right, I am not sure if that is correct, just seems logical too me. Any higher and they will blow directly onto the nozzles. OK. It's logical. I've adjusted. Results so far are that I've dared to push the fan up to 85%. It's like having a quadcopter in the room . The supplied Benchy still won't print though as it's sliced with a 10% increase every level, hitting 100% on level 10. I had to act fast to save it, but did, and currently I'm seeing the cleanest print I've ever produced being developed. Most people have luck with 75 percent or less. Sure. Would be nice to get them to the top of course. I noticed in the install guide for the extruder that there's a step to test the resistance of the hot end. I don't recall if it was tweakable, but might be good to know your number as that could lead to less efficient heating. I think the key with the fan is just to raise it very carefully. I'm trying to perfect the benchy build and my next Benchy test will have this pattern, which I did mostly manually on the last build. Ive had a few failed prints down to this issue now and to me it appears to be the PID is not controlling propery or element in hot end is too small. Compared to another printer where I have with a E3DV6 hotend, the Bigbox appears sluggish when it comes to reaching set point, My other printer has a 40w 12 v element in it and gets to temp very quickly and has very good control, i.e. almost no deviation from Setpoint once set point is reached. The duty cycle of heater once reached seems to be very even. I can't put my finger on it but the big box just seems sluggish when it comes to heating of the hotends, even from cold. What size elements are being supplied are these 30W elements does anyone know? I might order a couple of 24V/40W and see what the difference is like. The max power setting in the firmware is set to 255 so is using all the heating power available. What I see when Setpoint is reached is duty cycle of the element seems to be more on than off, i.e. on the board the LED for the hotted is lit most of the time meaning that power is being applied to the heater most of the time, with a little bit of flicker every now or then, which is telling me that the element seems a little underrated, as is not heating enough to maintain Setpoint. I'm also seeing quite a large deviation around set point once temps are reached, i.e. PID might need tuning.